Fujifilm has launched a new lens in the compact shape of the Fujinon XC 15-45mm f/3.5-5.6 OIS PZ. 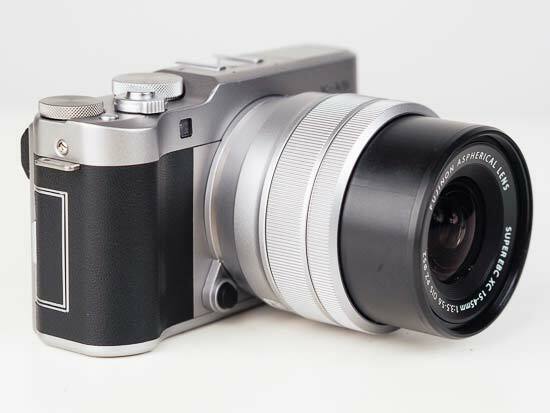 This is the smallest and lightest zoom lens available for the Fujifilm X-Series cameras. It is primarily available as a kit lens with an entry-level camera like the Fujifilm X-A5, though of course it can be purchased separately. With a zoom range of 23-69mm (full-frame equivalent), the lens is slightly wider than most kit lenses. 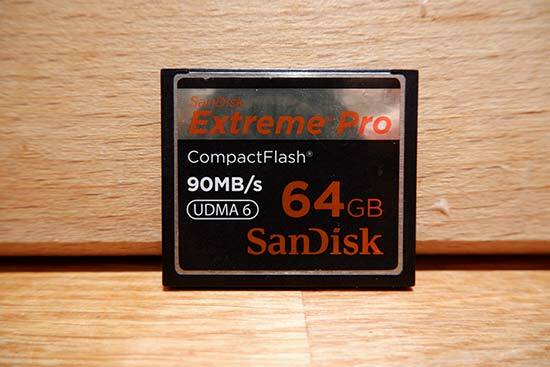 It should cover general scenarios, especially landscape and portrait photography. 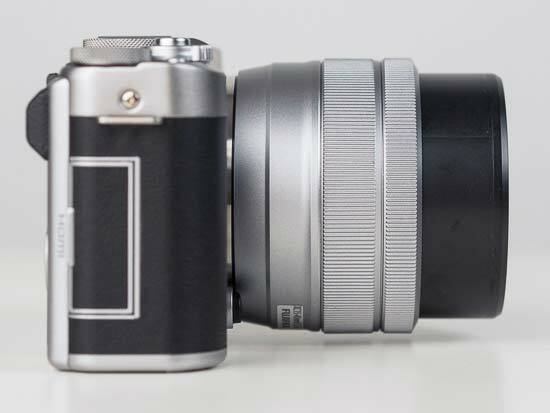 Interestingly, the lens features an electronic zoom only, which the company says helps keep the overall size down. In theory an electronic zoom will give a consistent and smoother zoom motion than a manual one, which is particularly ideal for video work. However, there is a risk that it will be harder to make minor and precise zoom adjustments. The Fujinon XC 15-45mm f/3.5-5.6 OIS PZ lens is available now in a choice of black or silver, with an RRP of £259. 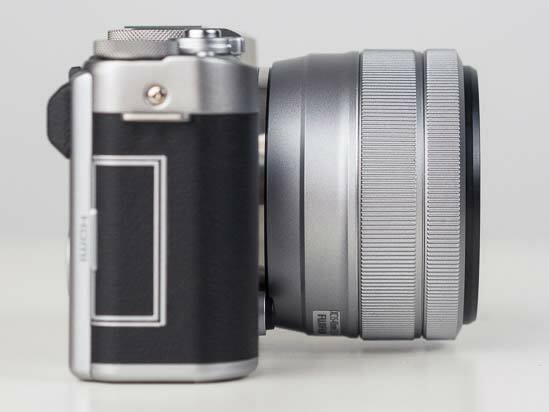 However, we expect most people will get this lens as part of a kit with a camera, like the new Fujifilm X-A5. 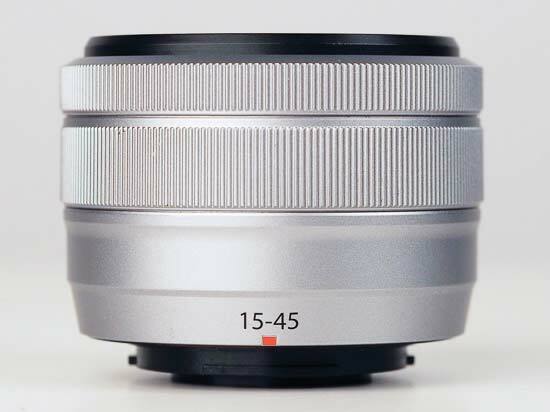 The clear selling point of the new Fujinon XC 15-45mm f/3.5-5.6 OIS PZ lens is just how small and light it is. Firstly, it is exceptionally light, weighing a mere 135g. Yet it is also the smallest, measuring 44.2mm when collapsed and up to 65.2mm when in use (at the wide setting). 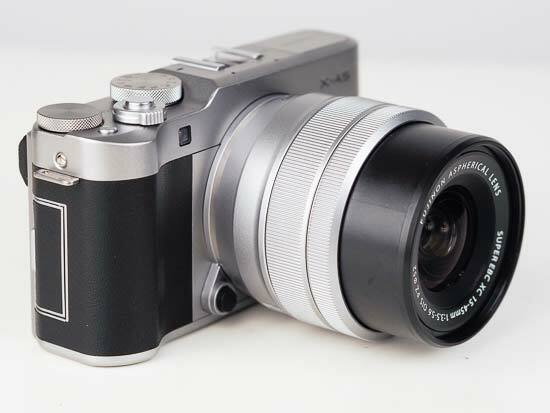 Being so small and light, the new kit lens is a perfect match for the new entry-level Fujifilm X-A5, which is the camera that we have used to test the lens. 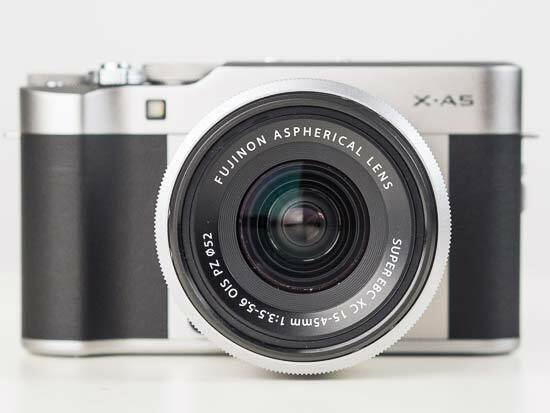 Design wise, the Fujifilm XC 15-45mm F3.5-5.6 OIS PZ lens is about as simple as it gets. 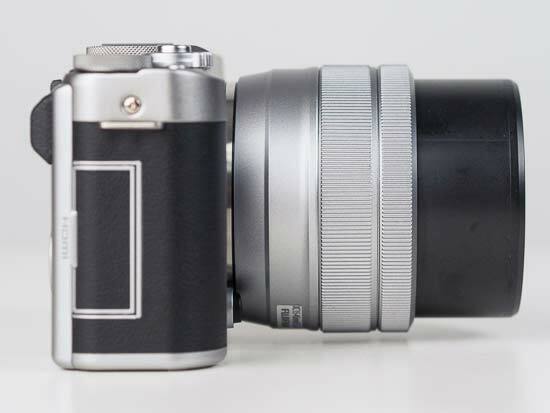 You have the 15-45 focal length marking on the top, a focus ring and an electronic zoom ring. That’s it. No buttons, no switches. There is a similar feel here to the Fujifilm XC 50-230mm f/4.5-6.7 IS II lens that we reviewed last year. The slender manual focus ring is at the very front of the lens and by camera default moves from near to far focusing in a clockwise rotation. There is little resistance from the focus ring, meaning it is easy to make severe manual adjustments quickly, though possible not smoothly. 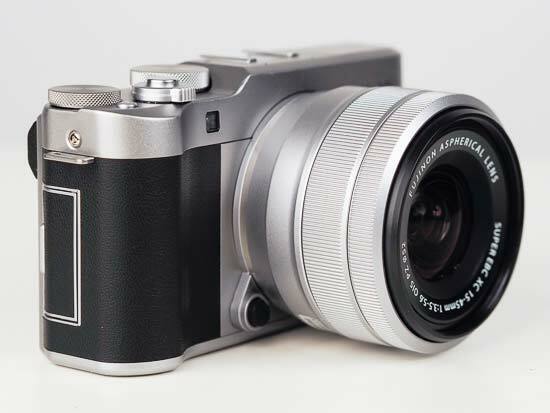 There is the option in a Fujifilm X-Series camera to display the focus distance scale for quick reference. It’s super useful and not many brands do this, so kudos to Fuji. 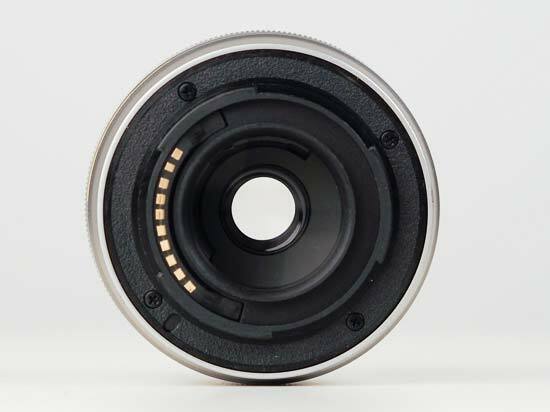 Directly next to the focus ring is the electronic zoom ring which is about twice the size. It handles ok, with a certain level of response as to how firmly the ring is being rotated. Fuji says there are two zoom speeds available, with each one performing at a consistent speed. With a hard and quick turn of the zoom ring the zoom motion is of course fast. For a fast zoom the motor is a little noisy and you’ll certainly pick up the sound in videos. A slower rotation makes for a slow zoom, which is better for videos because the motor is dampened and much quieter. For photography, we found it harder to make precise zoom adjustments with an electronic zoom like this one, often fiddling back and forth to compose a scene just right. There are other kit lenses available for mirrorless cameras (in general) that offer the choice between electronic and manual zooms. You could say that a manual zoom is easier to use for photography and an electronic zoom better for video. We’d like simple markings on the lens as a visual reminder to know which way to rotate the zoom ring. Even after becoming familiar with the lens, we regularly rotated the lens in wrong direction at the first time of asking. 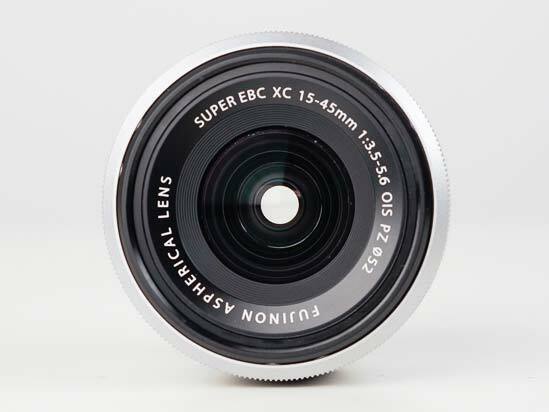 As for autofocus, the Fujifilm XC 15-45mm F3.5-5.6 OIS PZ lens uses a stepping motor to drive the focusing elements. Autofocus certainly is very quiet and will not distract in videowork or announce your presence to those around you. 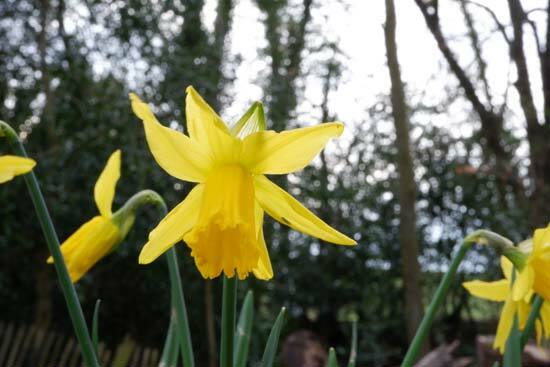 Focusing is quick too, although of course AF speed is affected by the camera’s AF system, the AF mode in use and the amount of available light. With no switches on the lens barrel, you’ll need to swap between AF modes and manual focus through the camera menu, or depending on the camera via the front switch or live view display. Menu selection is a tedious step to go through, though the focus mode can be changed via live view display when using the X-A5, which is really neat. Image stabilisation is built-in to the lens (OIS) with what Fujifilm claims is 3 f-stops (EV) of effective stabilisation. Now you’ll remember the lens does not have any switches or buttons on it, which means optical image stabilisation is also controlled in-camera. Last thing to mention here is that the lens thread accepts optional 52mm filters. Of course no filter is included with the Fujifilm XC 15-45mm F3.5-5.6 OIS PZ lens, plus you won’t find a lens hood in the box. 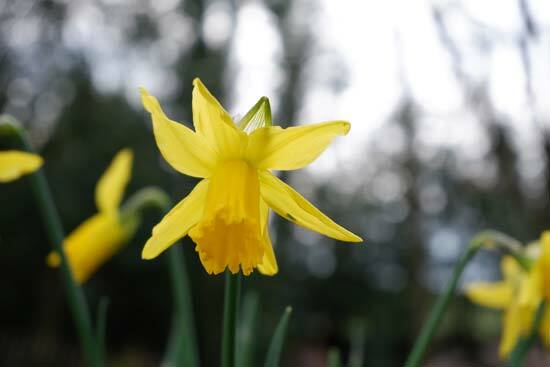 At the 15mm focal length (23mm full-frame equivalent) the angle of view is 86.9 degrees. That’s wider than most kit lenses. 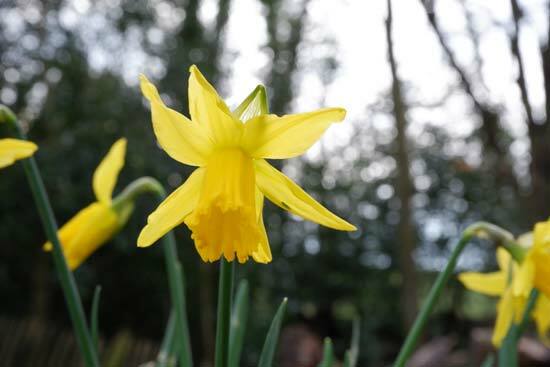 At the 45mm focal length (69mm full-frame equivalent) the angle of view is 35.0 degrees. Of all lens distortion, we would expect chromatic aberrations to be the most obvious in the Fujinon XC 15-45mm f/3.5-5.6 OIS PZ lens. Chromatic aberrations are typically seen on high-contrast edges as magenta, blue or green fringing. 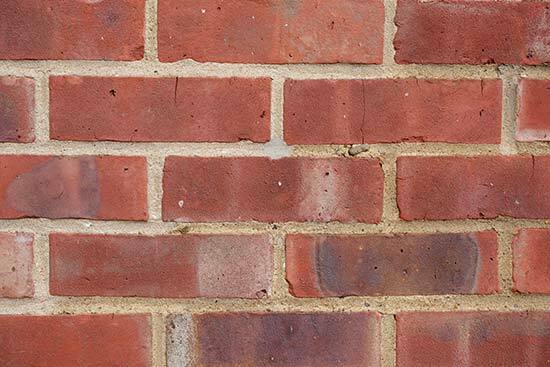 You’re most likely to see this in the corners of a picture along details such as building edges and tree branches. Generally, fringing is dealt with during JPEG processing. You won’t see it as strongly in JPEGs as un-procesed RAWs. When shooting in RAW format, fringing can be corrected in more severe amounts using editing software.  The problem is when fringing is severe enough that it is evident in JPEG images - that is harder to correct. 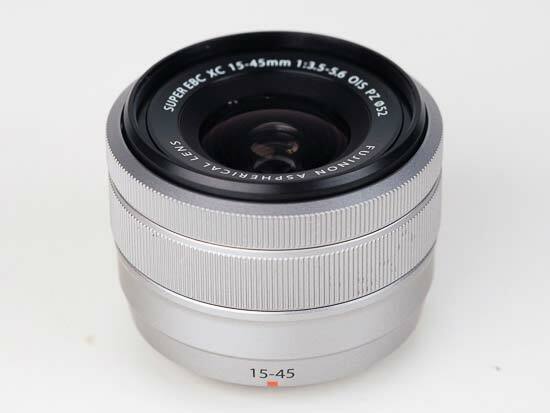 Thankfully, there are no such problems with the Fujinon XC 15-45mm f/3.5-5.6 OIS PZ lens. Fringing is very well controlled. When pixel peeping (viewing at 100%), we found just a few JPEG images that had fringing in the corners - usually blue fringing. It is still worth shooting in RAW format when capturing scenes where there is plenty of high contrast. With the Fujifilm XC 15-45mm F3.5-5.6 OIS PZ lens set to its widest focal length of 15mm and maximum aperture available at this point (f/3.5), it’s possible to see pronounced light fall-off (shading/ vignetting) in the very corners of the image. It is slight. 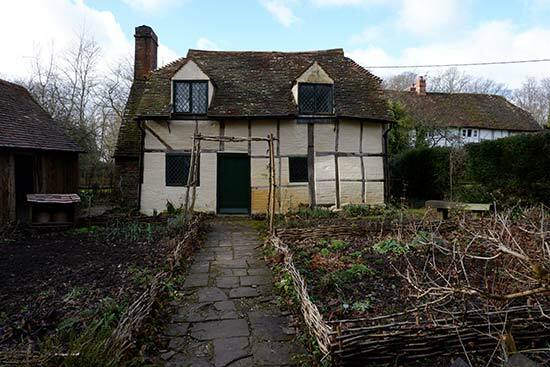 In fact, at the 15mm focal length, vignetting remains similar at all apertures from f/4 and up. In real world images you are unlikely to observe vignetting. When shooting at the 45mm telephoto setting, the maximum aperture is f/5.6. 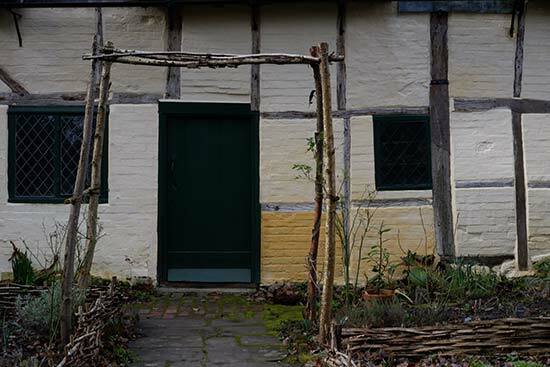 Light fall-off is virtually non-existent at any aperture, when the lens is set to 45mm. 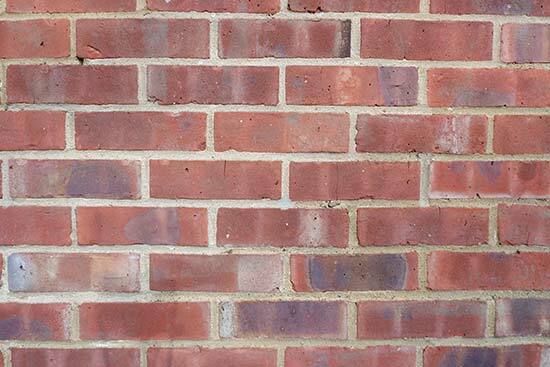 We’ve also taken pictures of a brick wall to check over lens distortion. Our expectations prior to this test would be slight barrel distortion at the 15mm focal length, while there should not be any barrel or pincushion distortion at the 45mm focal length. Our educated predictions were spot on. Barrel distortion is not really corrected in JPEG images, but can easily be corrected post capture in RAW images. The same can be said for light fall-off. In short, there are no real issues with lens distortions. Shooting at the widest point of the Fujifilm XC 15-45mm F3.5-5.6 OIS PZ lens at 15mm, it’s possible to see an almost unnoticeable amount of light drop off in the outermost corners of the image at f/3.5 (the widest aperture). The effect is almost impossible to see from f/4.0 onwards. The other focal lengths have different maximum apertures. At 45mm, the maximum aperture is f/5.6. 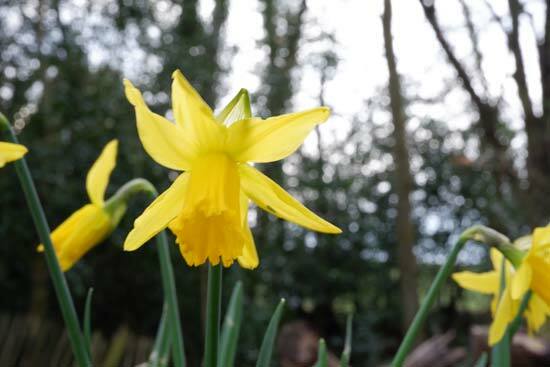 At this focal length and aperture combination, light drop-off is imperceptible.  Remember that this test uses a white wall which would make any light drop-off very obvious - so for normal subjects you’re certainly not going to see any problems. Vignetting is ever so slightly more pronounced at the widest apertures when shooting in raw format (as images haven’t had any lens correction applied to them in this state) - but again it’s almost impossible to see when shooting the white wall, so it’s definitely likely to be non-existent for normal subjects. 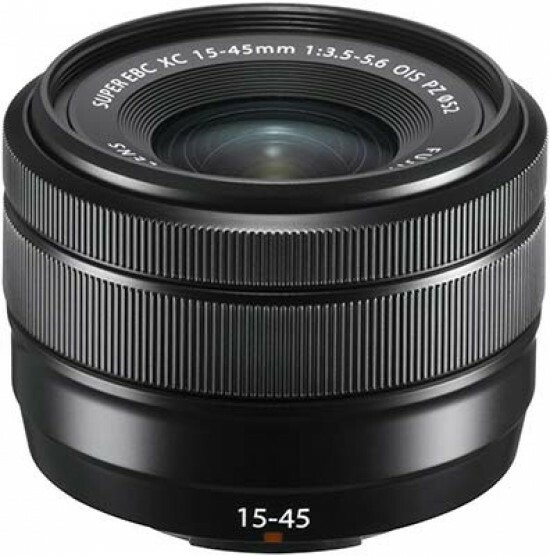 The Fujifilm XC 15-45mm F3.5-5.6 OIS PZ lens offers a minimum focusing distance of 13cm when at its widest 15mm focal length. When set to its telephoto setting of 45mm, the minimum focus distance is 35cm. A maximum magnification of 0.24x is hardly macro friendly - that’s a 1/4 life-size reproduction scale. The following example images shot at 15mm and 45mm demonstrates how close you can get to your subject, in this case a Compact Flash memory card. Bokeh is a word used for the out-of-focus areas of a photograph, and is usually described in qualitative terms, such as smooth / creamy / harsh etc. In the Fujinon XC 15-45mm f/3.5-5.6 OIS PZ lens, Fuji has employed an iris diaphragm with 7 blades, which results in a fairly unspectacular bokeh. The wider the aperture, the larger the out-of-focus areas become and the more rounded they are. Close the aperture and the diaphragm blades can be seen a little more, like a heptagon. For a more pleasant looking bokeh, shooting with a wider aperture is best.